The CF-19 has gone through 8 generations of upgades and is discontinued, replaced with the Toughbook CF-20 2 in 1 tablet to laptop. If you have a continuing requirement for the CF-19 we have refurbished units, parts and accessories to keep you up and running. The first MIL-STD-810G certified tablet PC, with a blend of in-the-field flexibility and proven durability, Toughbook® 19* transforms easily from a laptop to a handwriting-friendly tablet PC. The Toughbook 19 features the Windows Vista® operating system (also available with Windows XP), a 10.4” sunlight-viewable 1,000 nit display with Panasonic CircuLumin™ technology, Intel® Centrino® 2 with vPro™ technology and optional integrated Gobi™ mobile broadband. Available with a standard touchscreen or dual touch LCD (touchscreen and digitizer). In addition, a 6-foot drop & IP65 certified design with a full magnesium alloy case, helps to ensure that the Toughbook 19 will stand up to the most rigorous environments. Paper-based systems are inadequate to collect and organize the volume of information given by patients and relatives during emergency situations. To further complicate matters, handwritten records must be transferred manually into the service's computer system later—increasing overtime hours, delaying the insurance reimbursement process and creating a higher likelihood of errors. Using Toughbook® mobile computers and automated patient assessment applications, ambulance services can capture patient data more efficiently and minimize administrative efforts. Some Toughbook computers convert from laptop to tablet configuration in seconds, making it easier to accurately record data during emergency situations, while also reducing the rate of insurance form rejection due to legibility issues. Toughbook mobile computers can also provide a direct link to the computer aided dispatch (CAD) center, allowing the transfer of routing data, call location, patient history and area maps to the ambulance crew. The built-in mobile broadband wireless allows crews to send end-of-shift files to the service's main computer, eliminating the need to manually enter data once they return to the office. These advantages add up to significant productivity gains and operational savings. EMS technicians gather a lot of information about the patient and their condition while en route to the hospital. This information is used to treat patients once they arrive in the emergency room. Traditionally, this data has been collected on paper forms, creating possible delays in treating patients and complicating the insurance reimbursement process. 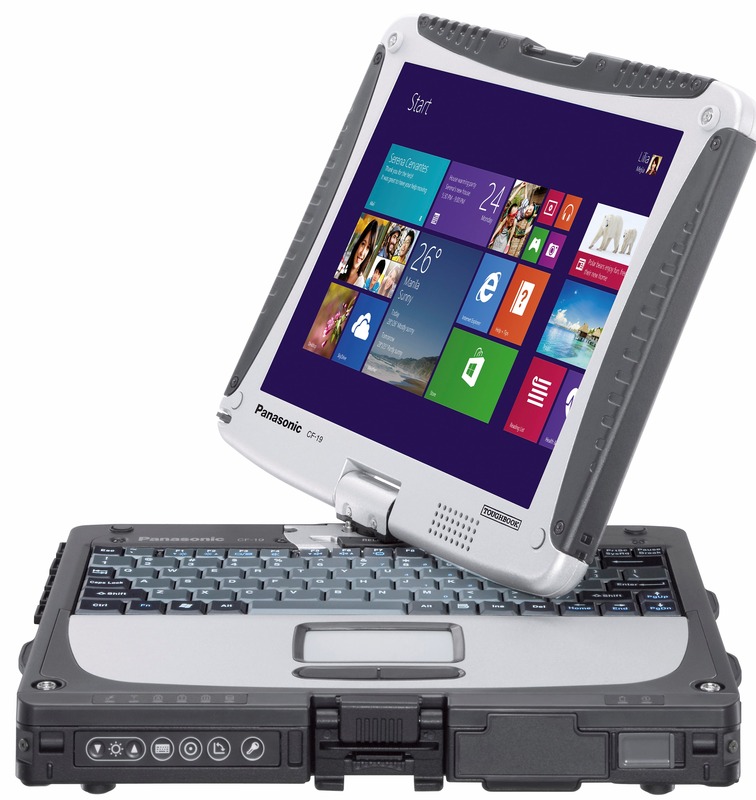 Because Toughbook® mobile computers are light and portable, information can be entered quickly and accurately and then wirelessly transferred to the emergency room while en route to the hospital. 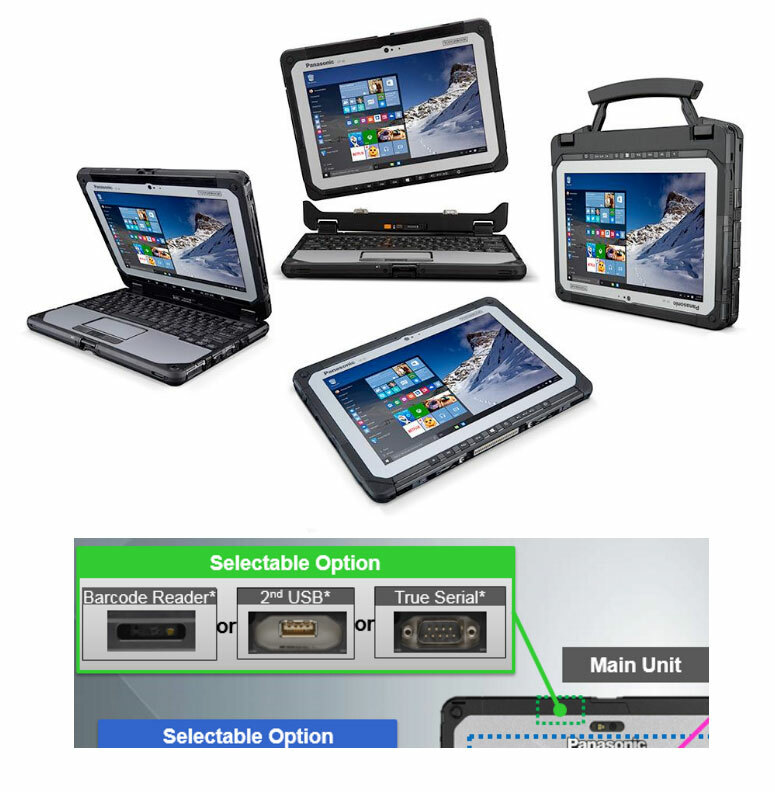 In addition, Toughbook laptops employ magnesium alloy cases and shock-mounted hard drives to withstand the shocks and vibrations that occur in fast moving vehicles, For even more protection, the spill-resistant keyboards reduce concerns about blood or other bodily fluids contaminating the units. The advanced wireless features of Toughbook mobile computers allow EMS technicians to access and update vital patient records quickly and accurately. This allows them to focus on saving lives rather than on filling out paperwork and transferring records manually to department computers.